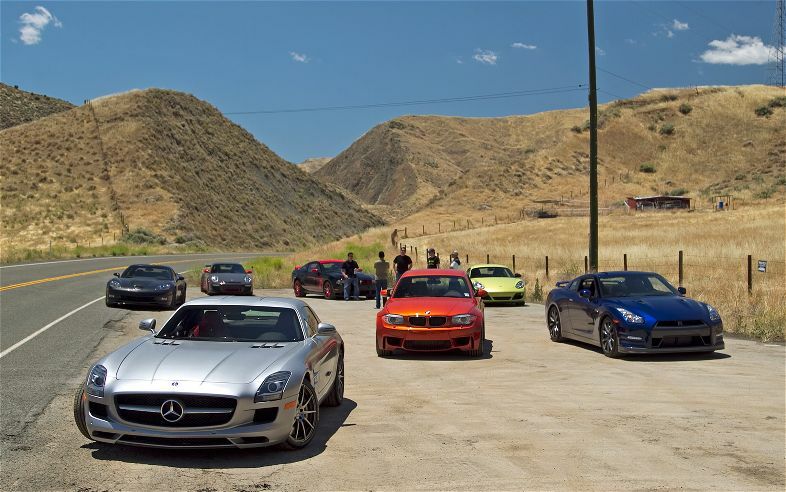 Motor Trend Magazine staged a 11 car wide drag race, mostly for dramatic effect during its Best Drivers Car Test, but its interesting to watch anyway. With 11 cars, it would be difficult to get 11 perfect passes out of 11 different drivers. $1.5 million in cars, and nearly 5,000 horsepower thundering down a improvised drag strip/runway.